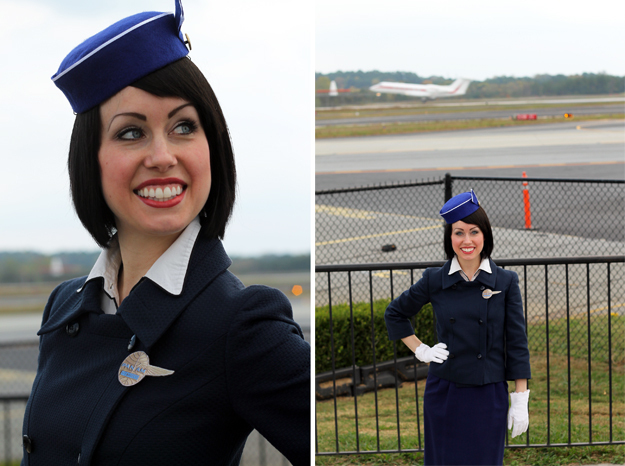 Here's the full reveal of my 1963 Pan Am Stewardess inspired Halloween costume! This look was easy to put together because I already had a blue jacket, blue skirt, light shirt, heels, hose and white gloves, plus a short hair wig. As as you saw in my previous post, the hat and pin were very easy to make. The blues are a bit off, but I'm not too concerned. This one was as fun as last year's costume! Love Love Love it! You did such a great job. You look beyond fabulous Mary Ann! 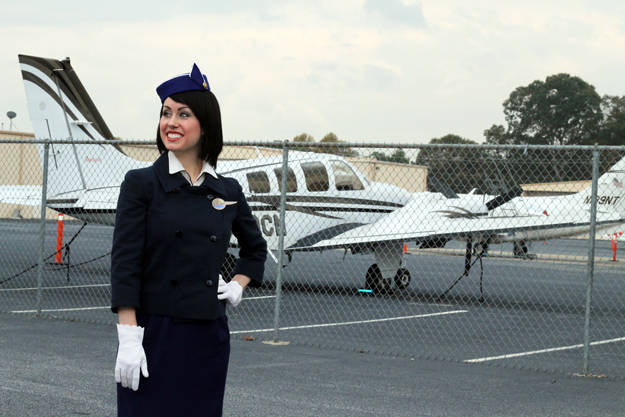 And love the airplane/airport as the backdrop! i think this is so awesome. Happy Halloween! Blogging by phone. What a fun post!! Love it! Holy SHIZZ!!! 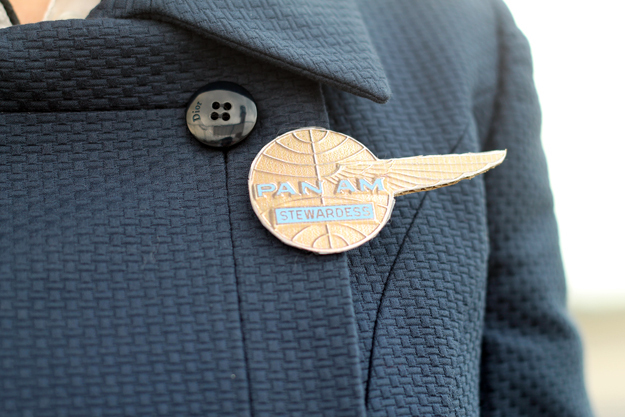 You look awesome and it's incredible how much you resemble Kate in PanAm!! Wowza! Just came across your blog and I love it! 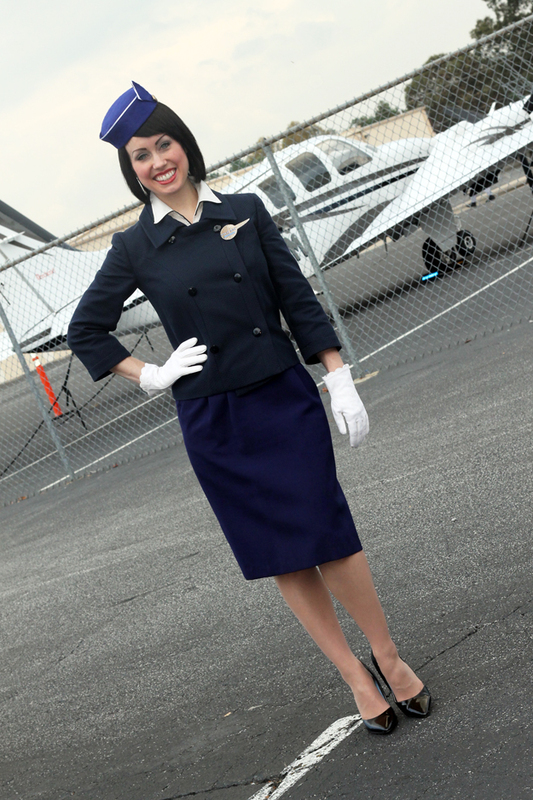 You have such great style :) Awesome costume too! 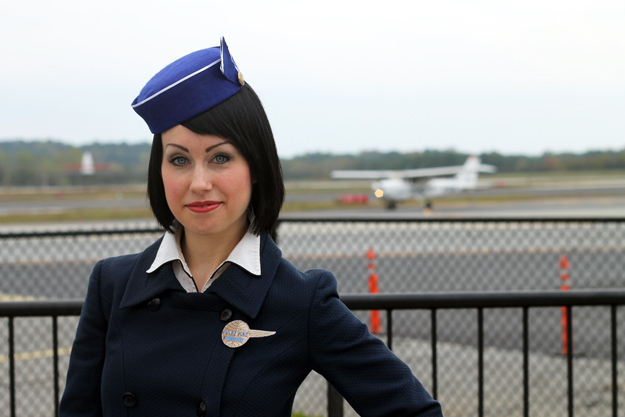 Ummm yes, I'd fly with you anywhere in the world! Your jacket is beautiful and so is the DIY hat, love it! Hahaha, wow! I love it--such a seeeeriously fantastic costume. I'm new to your blog and I think is gorgeous hope you can take a look at my blog and follow back!! :)so we can keep in touch! Amazing outfit! Easy to see where you were inspired from :) you did a wonderful job! Awesome DIY costume! This turned out so well!